In the last several years, retro gaming and 8-bit systems have rose from the ashes to reclaim their former glory. What was previously a niche interest has now become a trend for nostalgic adults, excited to revisit their childhood video games or share with their own kids. If that sounds like you, we’re going to look at how you can build your own SNES Classic right now, months before it is available and capable of doing so much more! For a bit of background before we get started, Nintendo released the highly anticipated NES Classic right before the holidays in 2016, selling out within mere minutes of being made available. 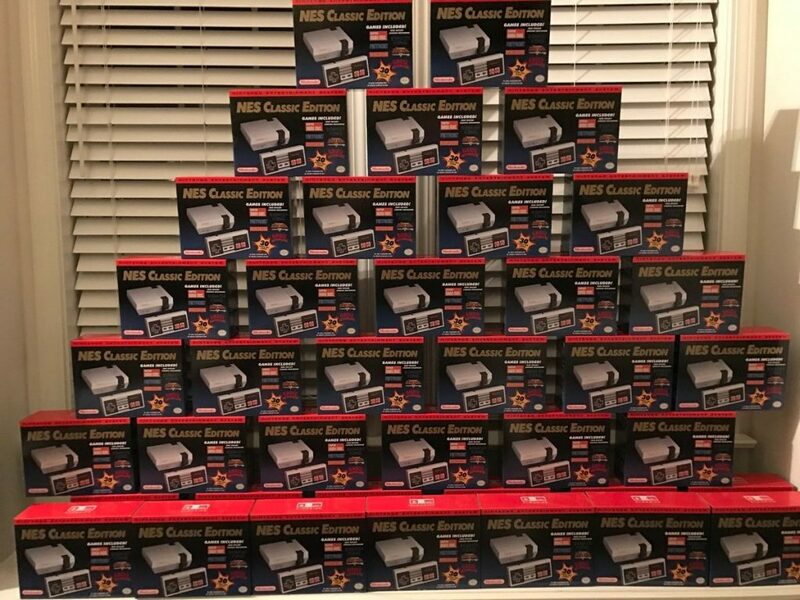 Becoming a highly coveted item over night, the original $59.99 MSRP skyrocketed, where they were being listed (and sold) for thousands of dollars. After shipping more than 2.3 million units, they discontinued production in April 2017, calling the item a “stocking stuffer” which they did not have the resources to maintain. With the SNES Classic officially announced yesterday, coming in September at $79.99, many veteran shoppers are preparing themselves for similar events to unfold at release. While Nintendo has stated they intend to produce more units to meet the demand, the majority of shoppers are skeptical at best. If the previous circumstances are any indication of what’s to come, many are in for an extremely difficult time finding, much less purchasing these anywhere near the advertised price. While this website is dedicated to 3D Printing, I will assume that not everyone reading this has immediate access to such tools. In effort to ensure that anyone can build their own SNES Classic, I have provided several alternative options below. The rest of the parts can be purchased directly from Amazon, making the authentic SNES case the only item that may be slightly more difficult to find, depending on what you have available. Fun Fact: I purchased my first 3D Printer in December 2016 with the intent of building similar systems, making them available to those who could not find/afford the NES Classic. I became so invested in the hobby, I started this website instead and decided to help others learn. If you are interested but are not sure where to start, check out my article on the Best Budget 3D Printers. 3DHubs.com – Hire someone with a 3D Printer nearby to create the pieces. UPS Store – UPS is now offering 3D Printing as a service at many of their retail locations. Local Library – Many libraries and schools now have 3D Printers available to use. The SNES case itself is straight forward, including basic instructions with the files. Keep in mind that the Power/Reset buttons, Eject button and Controller plugs are all vanity items, added for authenticity rather than functionality. You can make these functional with minimal effort, although we will not cover that in this guide. To achieve results similar to the original colors, several different spray paints will do the trick. Rustoleum Filler Primer – flat gray for the top and bottom case pieces. Rustoleum Gloss Grape – similar gloss purple as the original buttons. Rustoleum Charcoal Gray – for the controller connector pieces. With the case painted, we can go ahead and start installing the electronics. Carefully place the Raspberry Pi board on the 4 raised pillars in the back right, making sure to line up the mounting holes with those underneath. It should slide right into place as the various connectors will fit securely into the housings. Using the Steel Thread Star Drive Screws, gently secure the Raspberry Pi into each of the 4 pillars to hold it in place. The recommended Raspberry Pi 3 Kit will come with two heatsinks, a larger 10mm for the CPU (processor) and 5mm for the LAN (network). These have double sided adhesive on the back, where you can just stick them on the board in the outlined squares. This will help to reduce the temperatures up to 20C and prevent the board from overheating. The kit also includes the necessary 2.5A Power Supply, where you can just plug this into the back when ready to use. Leave it detached for now, where it will turn on the Raspberry Pi as soon as it has been plugged into the wall. The Raspberry Pi is just a micro size computer, meaning we will need an operating system for it to actually work. There are two popular gaming oriented platforms currently available to choose from, RetroPie and RecalBox. We will use the latter in this case, where it is extremely simple to get started. RetroPie is excellent, however it offers so many options that it can be quite cumbersome to setup. Go ahead and insert the Micro SD Card into your computer to install the software. While most modern computers have an SD Card Reader built-in, you can purchase an external USB Card Reader if needed. To make the card compatible with the RecalBox, we need to format it using FAT32. Under Windows, go to My Computer -> Right Click the SD Card -> Format. Make sure the settings match what is shown in the picture below, then click “Start” to format the card. Now head over to the RecalBox Github page and download the latest release in ZIP format. Open the archive and extract (or Drag/Drop) all of the files and folders into the SD Card as shown in Figure 2. Mission complete! You now have RecalBox installed and ready to use. Eject the SD Card from your computer, then insert it into the Raspberry Pi SD card slot on the side of the case. With your SNES Classic assembled and the software loaded, we just need to take care of some initial configurations. If you have not done so already, go ahead and plug it into your TV using an HDMI cord, then power on the Raspberry Pi using the included 2.5A Power Supply. Instructions are available to make a power switch if you are so inclined, however RecalBox has a shutdown option which will be sufficient for our needs. It will take around 5 minutes during the first launch as it prepares the system for use. Once finished, it will load into the main screen, allowing you to navigate through the different gaming systems available. Those which are listed will have several demo games already installed, making it easy to test it out. Before we can start playing however, we need to configure our controllers and connect to the internet. Plug both a USB Keyboard and at least one USB Controller into the Raspberry Pi. Using the keyboard, press the Enter key to bring up the settings menu, then go to Controller Settings -> Configure A Controller. After several screens with information about the process, you will be taken to the configuration menu. Using the controller, proceed through the list by pushing each relevant button that reflects the option shown on screen. If your controller does not have specific buttons, press and hold any button to move on to the next option until done. Back at the Main Menu, locate the Network Settings and select it. If you are using an Ethernet cord to provide internet access, it should already be connected. If you are using WIFI, activate the ENABLE WIFI option and enter the WIFI SSID (Wireless Network Name) and WIFI KEY (Wireless Network Password) to match your home network. At this point, your SNES Classic should be setup and ready to use. You can go ahead and check out the various games that are already included, or you can start loading your own list of games instead. If you successfully connected to your home network in the previous step, this process will be extremely straight forward. In a nutshell, Roms are basically one or more files that contain all of the game data required to play it. Emulators are the computer programs that can read Roms and make them playable. As RecalBox is essentially a collection of Emulators for different systems, we will just need to place our desired game Roms on the SD Card. As an example, a Google search for “SNES Roms” (or the system of your choice) will provide dozens of websites with thousands of games available for download. For legal reasons, we will use PDRoms which has a collection of home brewed games in Rom format. Go ahead and download the game Skipp and Friends as an example. After extracting the archive, there is a file called “SAF.smc”, where the file extension SMC is the type used for all SNES game roms. From your computer, find the network device RECALBOX and open it, giving you direct access to all relevant files and folders on the system. Navigate to the directory path “/share/roms/snes” and proceed to drag & drop any downloaded SMC files into this folder, where they will copy to your SNES Classic over the network and become available instantly. You will just need to use the Controller to go back to the Main Menu -> Game Settings -> Update Game Lists to refresh the data. I built my first SNES Classic Clone in December 2016 and it has been huge hit with friends and family. Everyone can appreciate playing their favorite childhood video games, whether that be Super Mario Brothers or Earth Worm Jim. With the Raspberry Pi, even the average person can build an incredible gaming system, capable of running thousands of titles for less than $80. While both the NES and SNES Classic are interesting products, there are far too many problems in their distribution for the average consumer. Limited production will likely once again result in individuals hoarding dozens of units to resell at a markup. Those who cannot purchase them early run the risk of the product being discontinued. The lucky few who do manage to get their hands on one may eventually find themselves desiring to play more than just the included games. Building a clone SNES Classic on the other hand provides unlimited possibilities. RecalBox actually uses the Kodi Media Center software (the Unlocked Fire Stick software), meaning that in addition to playing games, you can manage an entire library of media including movies, TV shows, music and more. The number of options is staggering, ensuring you won’t grow bored of it any time soon! If you have questions, comments or want to show off your build, feel free to submit a comment below. I would love to check out what others are able to come up with! I am surprised to see this, i didn’t expect that i could play all those old classic games. I post is informative but it could have been better if it was formatted in video. Thanks for the feedback! I have been considering starting a Youtube channel and may do so soon. There are probably already videos covering this but I will definitely try and make one! Is there anyway I could pay you to make one for me?